As always, if you’re viewing this in an email, please click the title of this post to see the blog, which offers a better viewing experience. 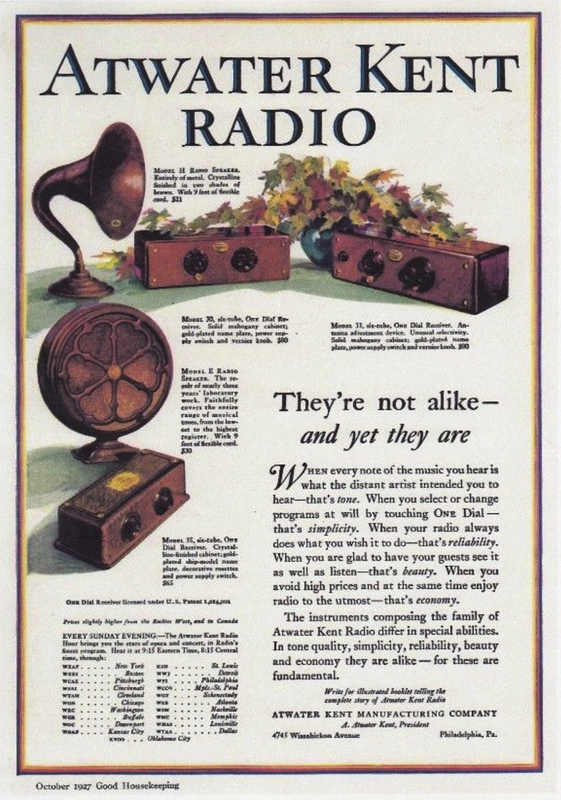 Interestingly, this radio, a “Model 40”, was made the same year as my father’s birth, 1929. 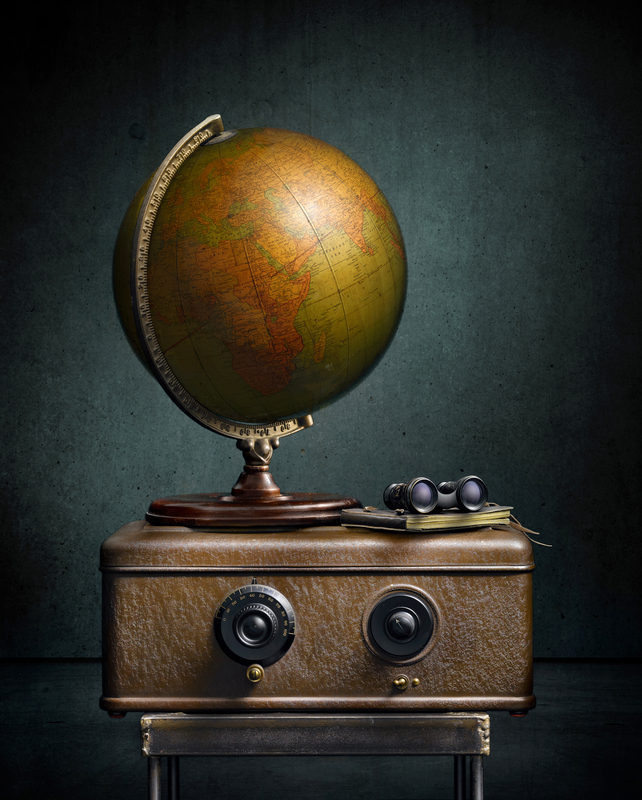 Unfortunately, I don’t yet have the speaker which was intended to be used with this radio, so as another compositional element, I decided to use this beautiful old globe, given to me by my friend and fellow light-painter, John Corcoran. 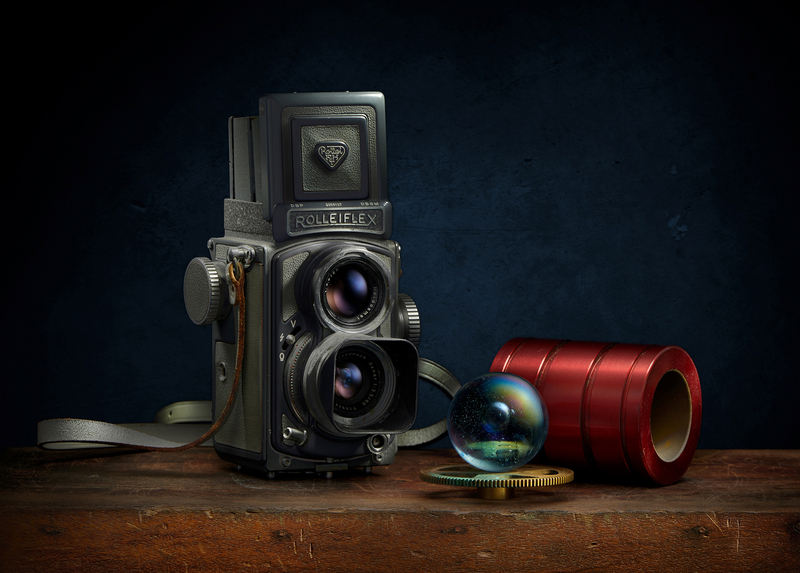 Light painting allows me to render these beautiful vintage objects with texture, dimension and depth, which can’t be achieved with “normal” lighting methods. I like to say that the workshop is not about making a masterpiece, but is designed to teach a process and a way of thinking about light. I believe that my “Sculpting with Light” process is very transformative, and the images of ordinary objects shot by my students is a testament to that. If you would like to learn my image-making methods, and much more, there are three ways to take a workshop with me, and we have just added more dates for 2019. For workshop information please click HERE . Hello everyone! It’s been awhile since I last posted, and I apologize for that! Along with the holidays, we also had some family obligations we were dealing with out of state. Thanks for bearing with me…. Today, I’m posting images that were shot by students who attended workshops in the last few months. Also of note, we’ve had a recent opening for our March 15 – 17, 2019 workshop! See below or click HERE on how to sign up. You’ll notice that some students have more than one image. These are students that took an individual workshop, and/or stayed for an extra day of training. I feel very fortunate and honored that students have travelled from near and far to take a personal workshop with me! In this recap, there is recent work by students who travelled here from: Colorado, Texas, Ireland, Pennsylvania, and Arkansas. I am truly humbled. A big THANK YOU! goes out to every one of them. Also, I am once again so pleased and surprised to see the compositions that students come up with; things that I wouldn’t think of. This is one of the most rewarding things about teaching my image-making process. 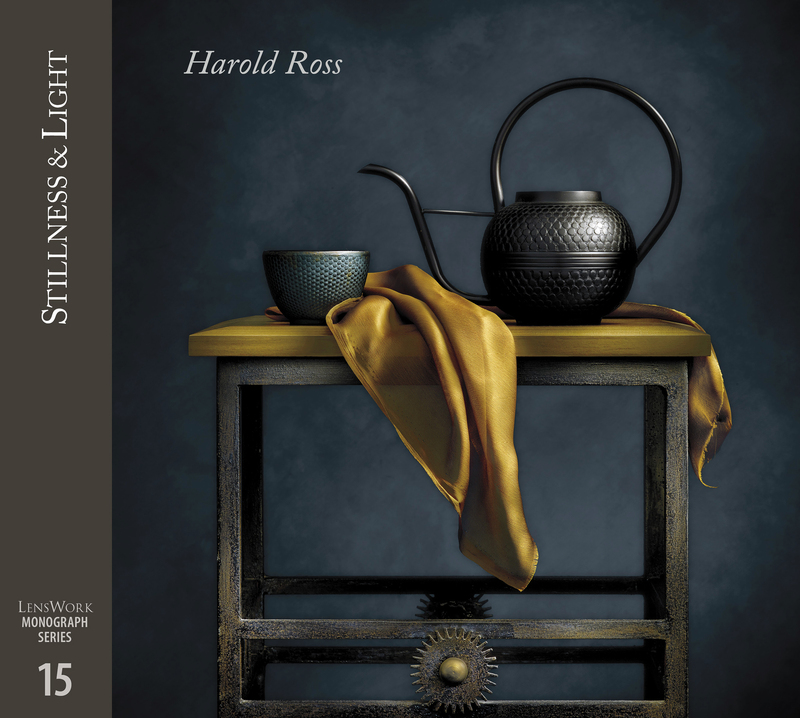 A personal word about my workshops… I developed this process, which I call “Sculpting with Light”. It is a process that I’ve been perfecting for almost 30 years. Yes, I used light painting with film, and I developed a way to bring those concepts to a digital workflow. It is a challenging process, and the workshops are intensive; we work very hard because I want my students to leave with a deep understanding of the process. For this reason, I teach a maximum of TWO students (I also teach individuals), and this is why I teach quite a few workshops per year. Two friends, Larry Adkins and Larry Myers (we referred to them as “Larry 1” and “Larry 2” respectively), both from Colorado, made images that are very different. 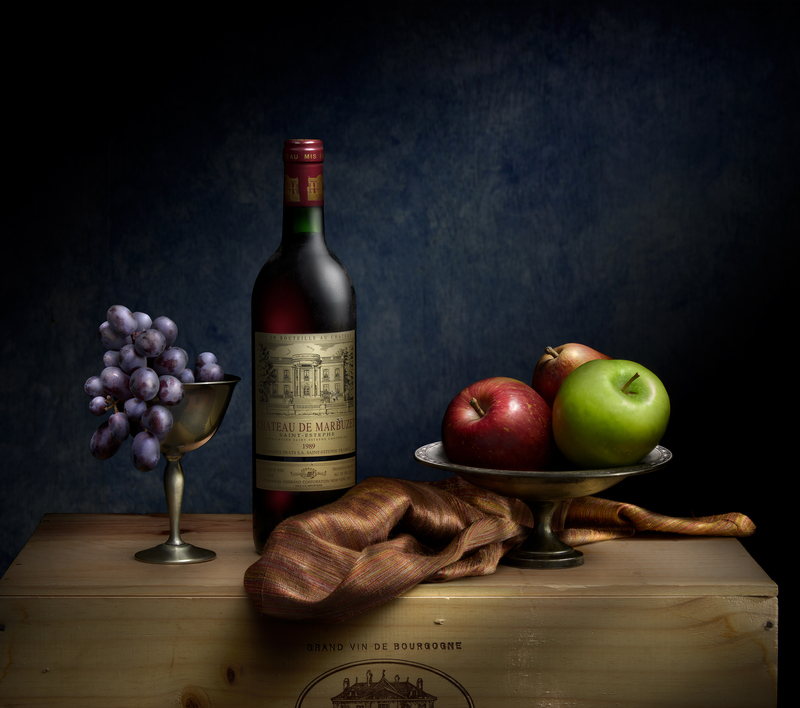 Larry Adkins decided to do a classic still life with a wine bottle and some cheese, along with some other beautiful props. I think he did a beautiful job; glass can be challenging, but with the simple lighting techniques that we used, it was a snap. Great job, Larry! 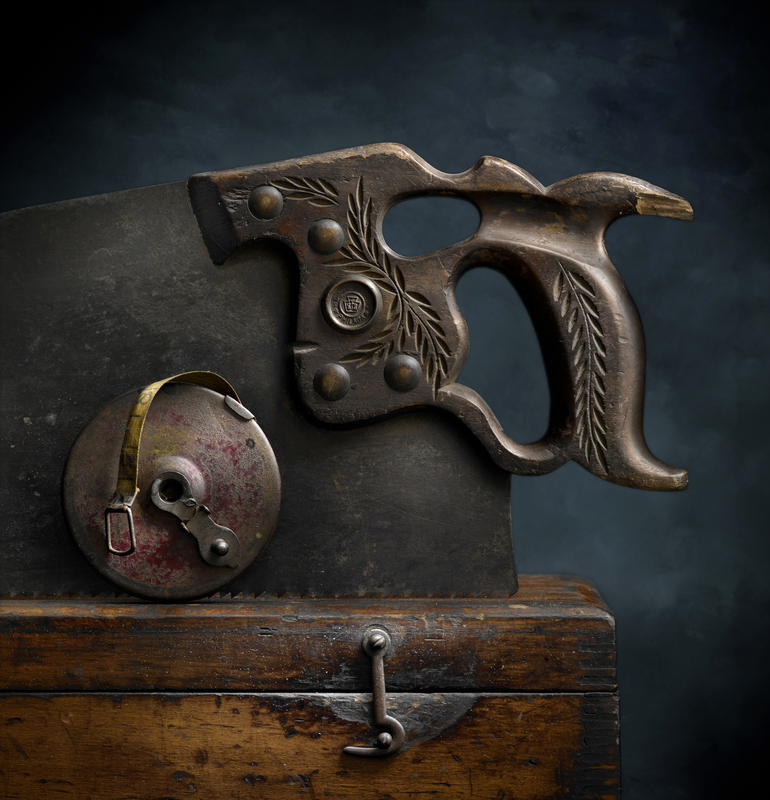 Larry Myers decided to go in a different direction; he chose to photograph some vintage tools from my collection. Larry has very good taste as far as I’m concerned! 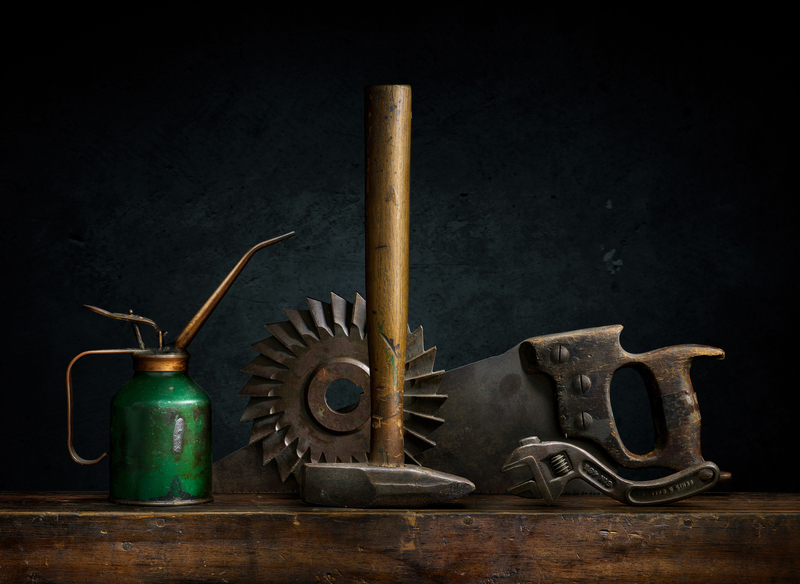 He picked out some of my very favorites; a gorgeous old green oil can, a “cross-peen” blacksmith hammer, my very favorite (and very old) curved wrench, along with a cutter wheel and a saw. The technique we used to enhance the texture of the box is evident, and in fact, there is a great deal of detail everywhere in this image. Also, the proper placement of light creates depth. Excellent, Larry! Christine Pybus travelled here from the great state of Texas! She purposely included in her still life lots of reflective things. There is definitely a challenge to lighting glass and reflective metal, unless you know how! Even though these surfaces reflect virtually 100% of a light source, I believe that a richer look is achieved by NOT making these surfaces pure white. 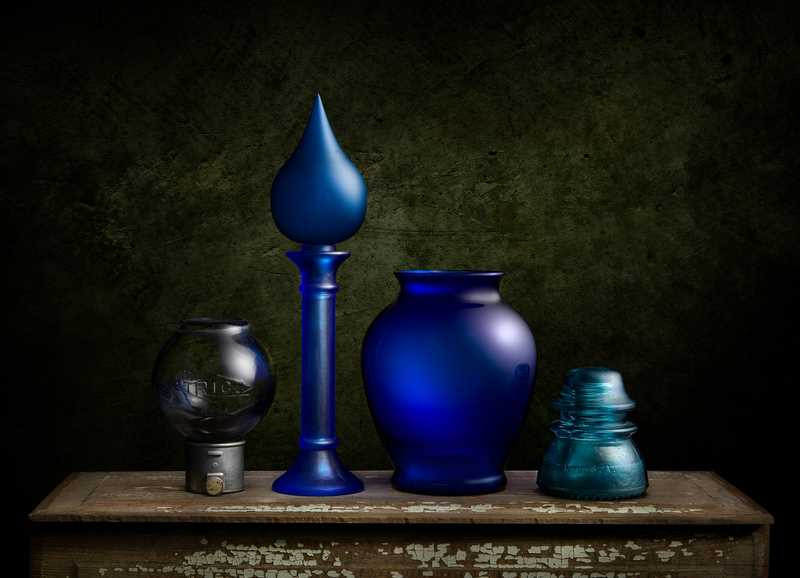 Christine liked the “scientific” aspect of a grouping of objects that provided this lighting challenge, and she met that challenge with aplomb. Christine, you created a very nice image! 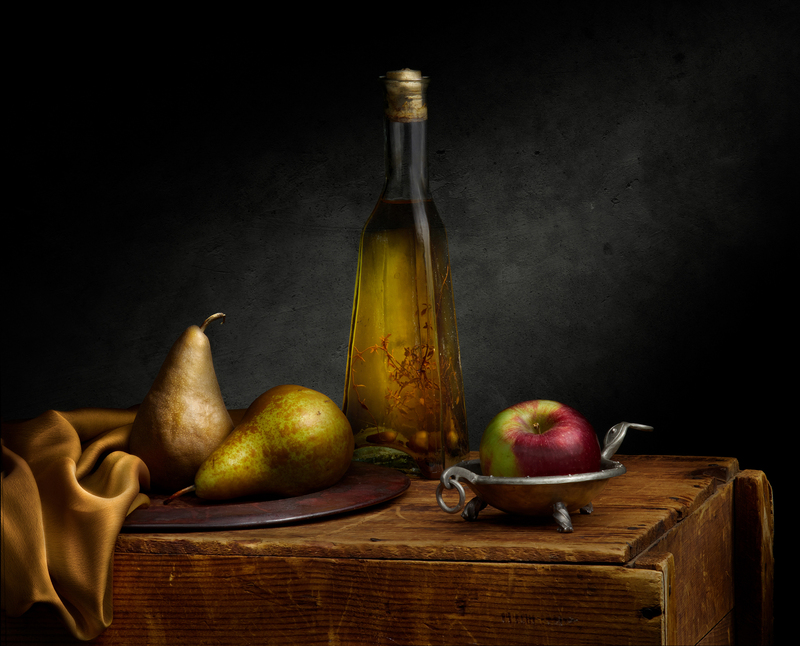 Ruth Dennison, a fellow Pennsylvanian, made a classic still life, and it’s a beautiful composition. The “pair of pears” is so gorgeous, and the formality of the composition is softened by that sensuous fabric, which Ruth lit and blended in so beautifully. I love the variation in height of the objects in this image. I think that the light in the bottle is fantastic. When it comes to light painting, it’s all about direction, movement and distance. Very nice, Ruth! Canice Dunphy travelled all the way from Ireland for his One-on-One workshop! He has been here several times in the past, and wanted to perfect his lighting and workflow even more. Canice also wanted to brush up on and master the lighting for reflective surfaces. This image certainly gave him that chance! I really like the composition here; very formal, pyramidal in shape. Really lovely. Also, I happen to LOVE cobalt blue (is there anyone who doesn’t?) Great work, Canice! Since he was here for several days, Canice was able to complete a second image. In this case, he wanted to perfect the technique of lighting and rendering (through masking techniques) beautiful sensuous fabric. 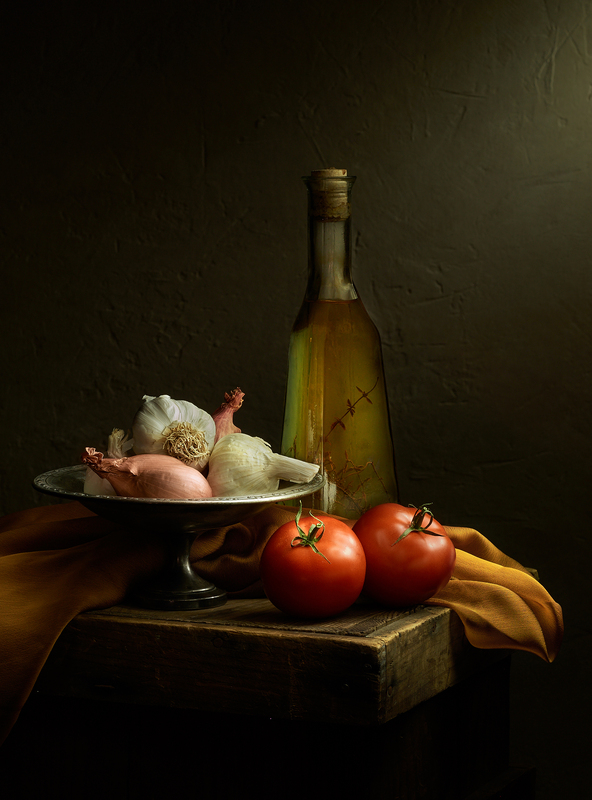 The tomatoes present one of the more difficult objects to light; reflective surface with color. A reflective surface, in my opinion, requires a beautiful soft highlight. The kind of lighting required for that, however, is not conducive to revealing color. This makes it a little tricky. Canice, you really created a beautiful image here. Anita Sedberry, from Arkansas, was back for her second workshop, this time a One-on-One. Like Canice, she wanted to perfect the lighting of reflective objects. 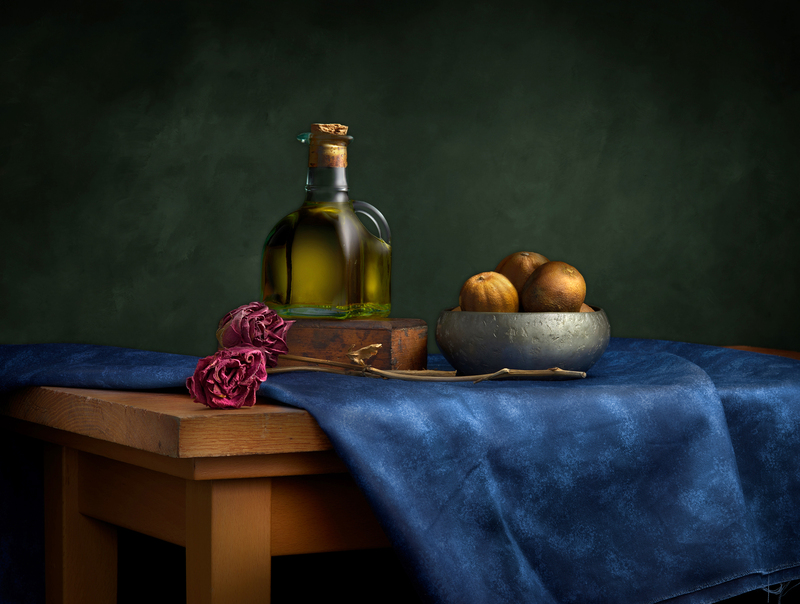 This is a classic still life, with its shelf like “stage” and beautiful wooden bowl. I teach my students that there are “rules” of composition, but it is often better to ignore them! Instead, one might just try to eliminate all possible “flaws” in the composition. I feel that this is a more flexible way to work, and if one truly eliminates all compositional flaws, then, by definition, the composition will be an acceptable one. In this case, Anita created a very beautiful one! 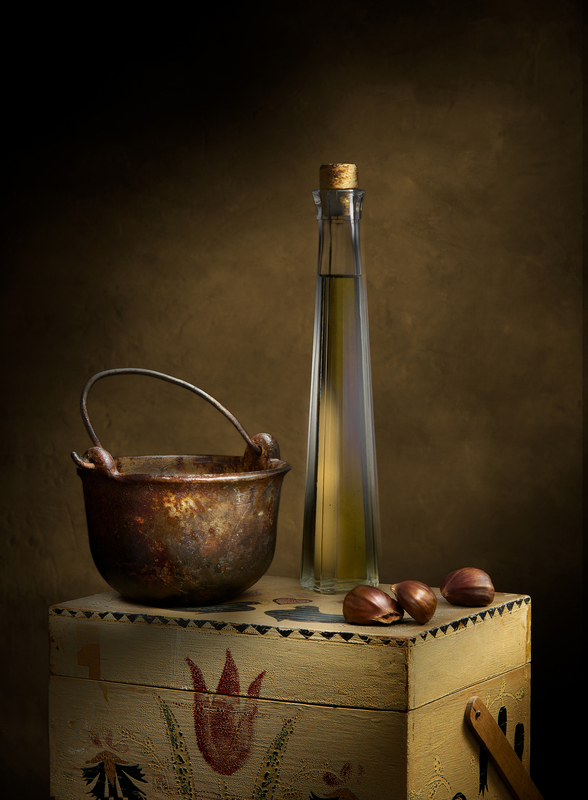 Often, during a One-on-One workshop, especially with a returning student, we have time to create a second image. If time pressure is there, the image must be a simple one. In my way of thinking, simple images have the potential to be more powerful and iconic than do complex images. During a normal workshop, the image must be somewhat complex in order for me to teach the handling of various surface qualities, etc. I am so happy when this situation presents itself, because I prefer more simple, monumental images. This second image by Anita is a great example of that! 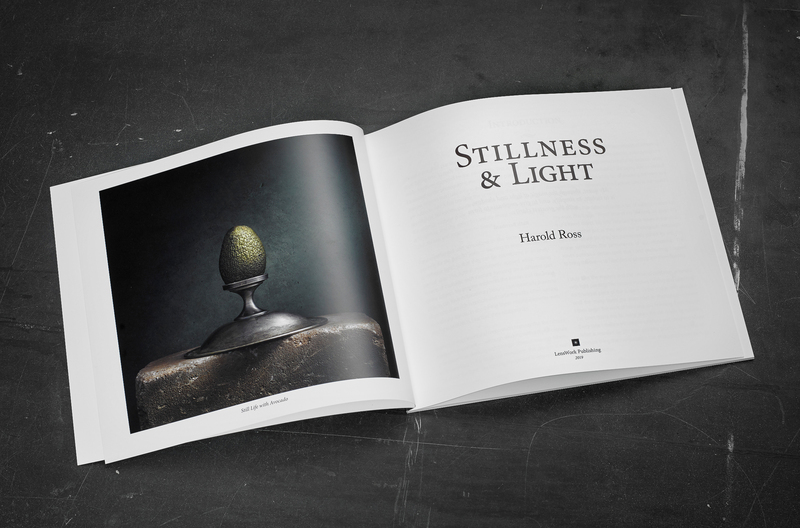 I like to say that the workshop is not about making a masterpiece, but instead, it is designed to teach a process and a way of thinking about light. 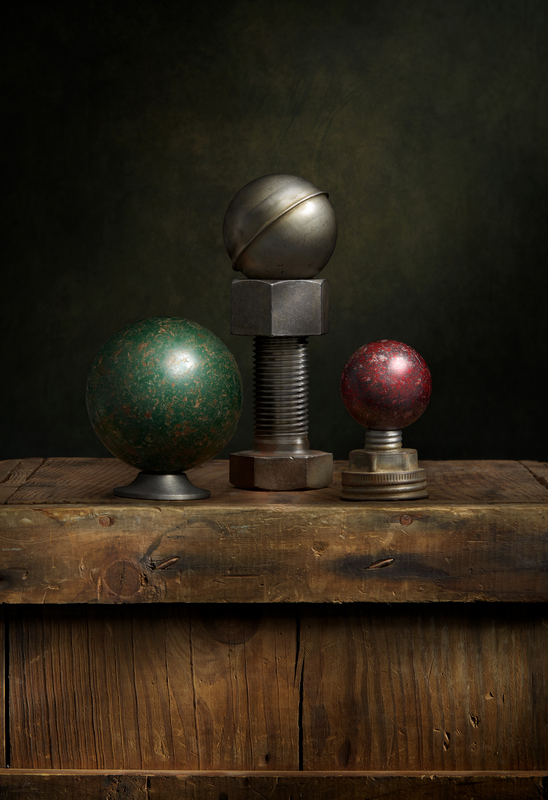 I believe that my “Sculpting with Light” process is very transformative, and the images of ordinary objects shot by my students is a testament to that. All images from students over the years are HERE. It’s no secret; I LOVE vintage tools. There is something about the beautiful design that went into utilitarian objects from the past. This saw is no exception; the handle is so gorgeous that when I found it at the scrap yard, I just had to take it home with me! Of course, I used light painting to reveal the full depth and detail. The ruler is also something I admire, and I remember the days before the laser measuring devices that many of us use today! Please click on the images to see them larger! Today, I’m again posting images that were shot by students who attended relatively recent workshops. I usually post more frequently, but the month of August was very busy dealing with family obligations out of state. If a student has more than one image, it’s because they opted for an extra day of training. I’d like to thank each and every one of my students, past and present, who spent their time (and money) coming here to learn my image-making process. In this recap, there is recent work by students who travelled here from: Switzerland, United Kingdom, and Australia, as well as from all over the US: Colorado, Minnesota, California, Delaware, Texas, New York, Florida, Pennsylvania, Arkansas, Tennessee and Washington State. I feel so honored that students have traveled from so many places to take a workshop with me! One of the most rewarding things about teaching is the opportunity to see what interesting compositions my students come up with! 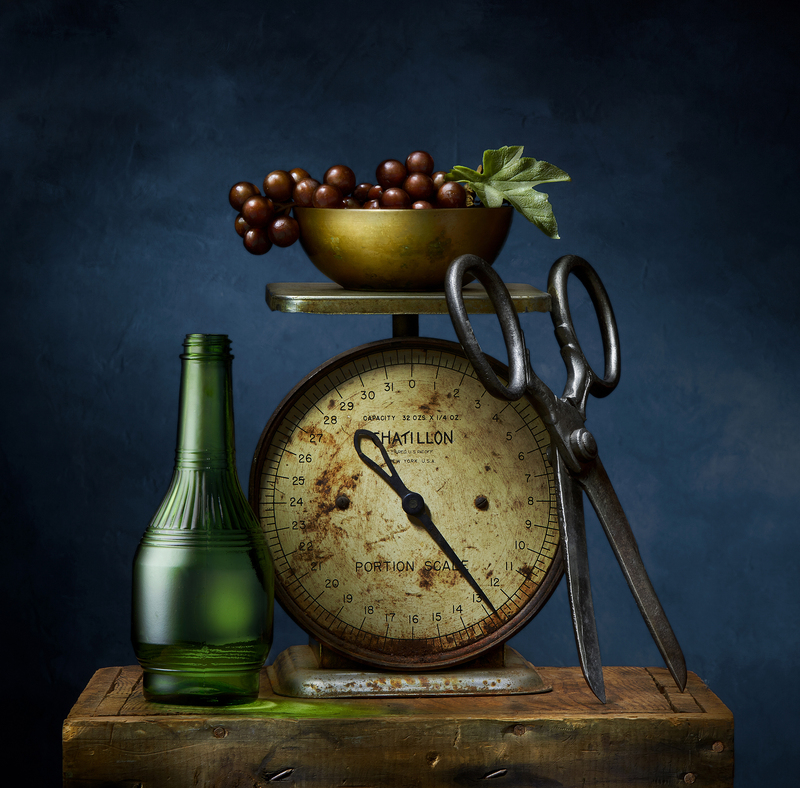 Of course, I have a limited number of props, so there is always repetition there, and one thing I always like to say is that the goal of the workshop is not to create a masterpiece, but to learn how to do so! 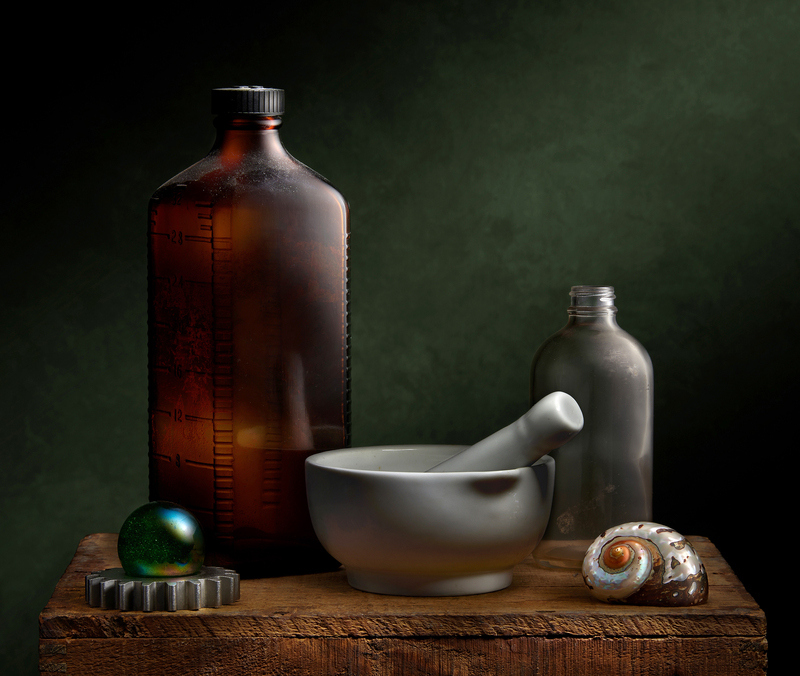 Melanie Kern-Favilla is a widely recognized photographer of botanical subjects (and a Kelby One instructor). It was so interesting to me how she took a piece of industrial steel and a scientific funnel and turned them into a flower! As accomplished as Melanie is, she is also quite humble and recognizes that there is always more to learn! I couldn’t agree more! Tomas Capek is from Switzerland, the same country as my grandfather, who was trained there as a blacksmith in the Swiss Journeyman program. I thought is was so cool that Tomas chose several metal pieces for his image. The composition is simple and symmetrical, and I think it works well! Michelle McCain and her husband, Alan Haynes, attended the workshop together. Both wanted the challenge of lighting glass along with other types of objects. 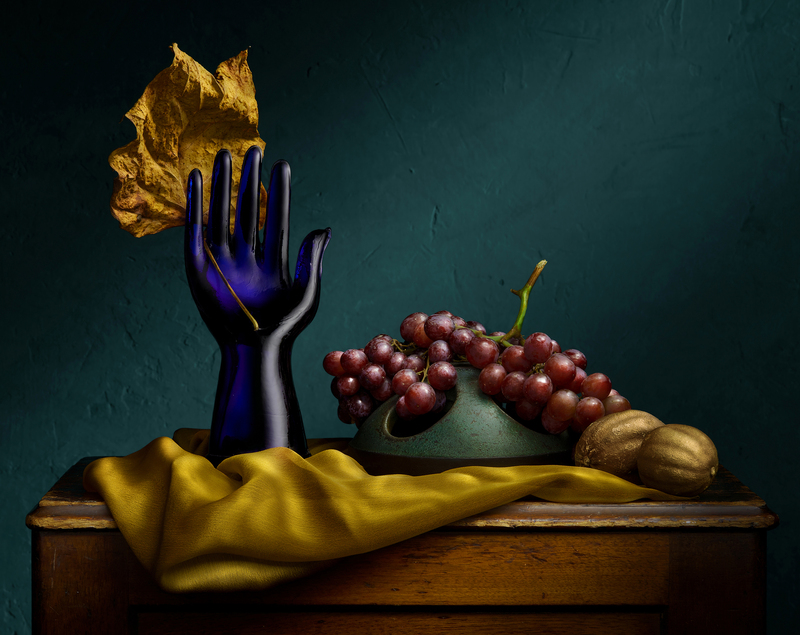 Also, both created unusual compositions; Michelle’s is almost a combination of two different still lifes, and I think it balances nicely. She did a great job learning to light such a variety of surfaces! Alan’s composition has a lot of “air”, something which I incorporate quite often. It gets across the feeling of environment, which in this case, works well. 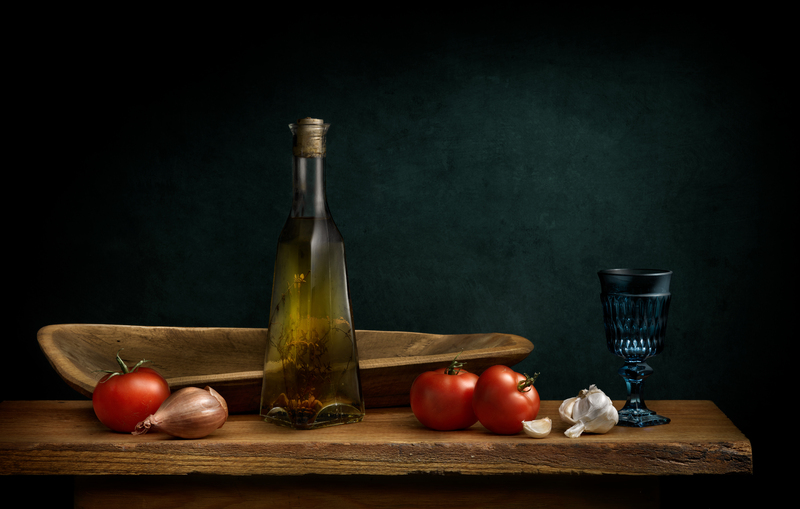 I love the colors that Alan used in this image and also his choice of color in the background. 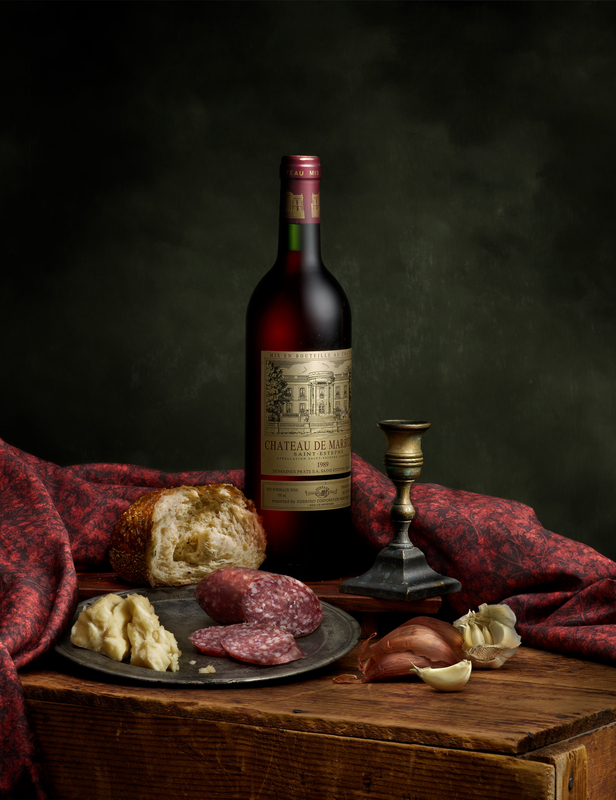 Brian Larson chose to create a classical still life, along with the challenge of lighting a wine bottle. As in Alan’s image above, I LOVE the color scheme that Brian came up with, along with the treatment of the fabric. Bas Montgomery, who travelled all the way from the United Kingdom, has a terrific sense of humor, and it certainly came into play in his composition. The “people parts” that he used here are a bit tongue-in-cheek. 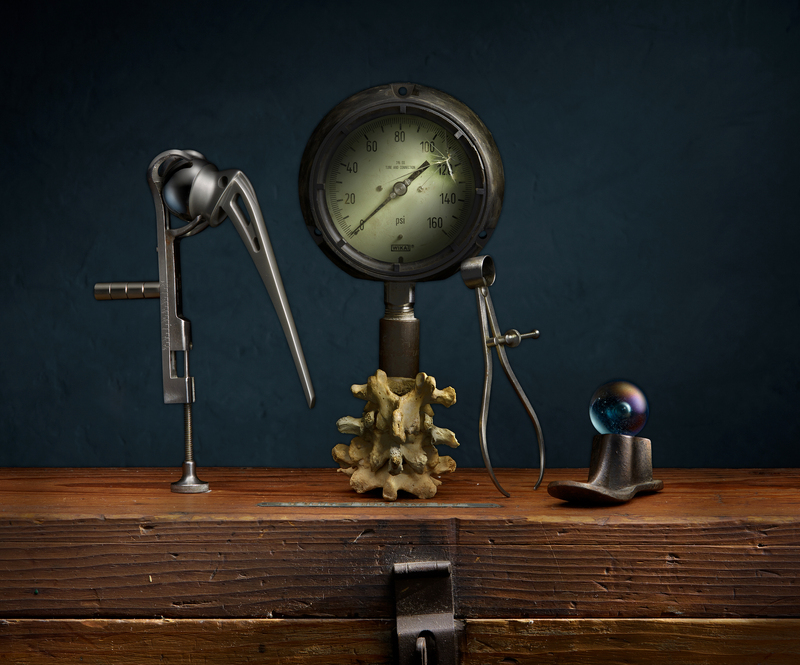 For example, the hip implant held by a “hand” (actually a surgical clamp); the (cracked) face, its neck supported by the spine; and the foot, all conspire to make me smile when I see this image! 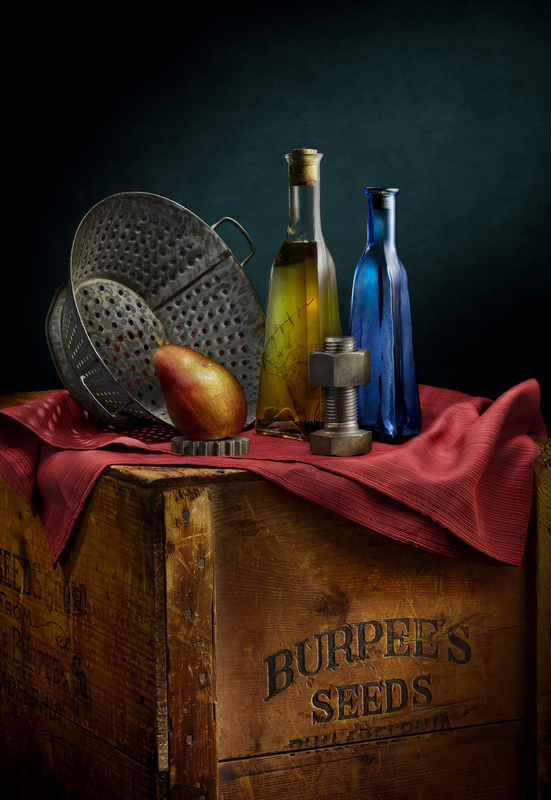 Kip Turnage, who took a One-on-One workshop, also wanted to learn to deal with a variety of surface qualities. 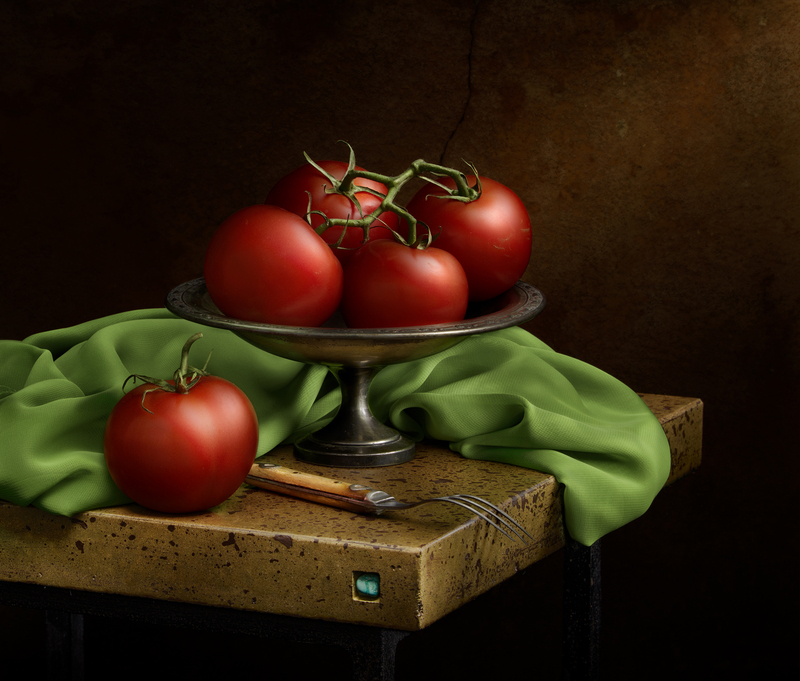 I really like the painterly look of the tomatoes, and how the surface and color of them are countered by the earthy nature of everything else in the image. Bob Maynard attended his second workshop with me, and he brought along this amazing antique scale, made by Eastman Kodak in the late 19th or early 20th century. 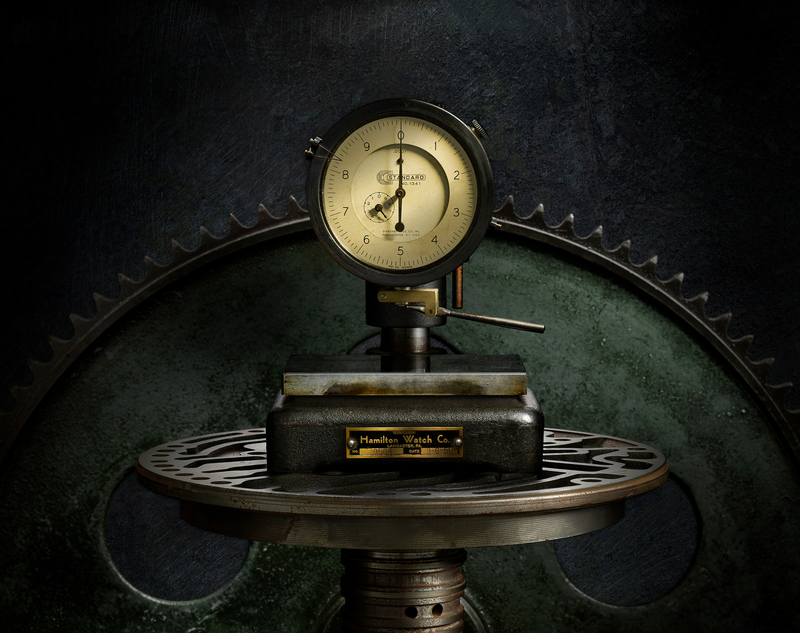 It is a “Studio Scale”, specifically used for measuring photographic developing chemicals. Bob was presented with quite a challenge with this subject; getting light to certain parts of it was difficult, but Bob did a great job. Anita Sedberry was drawn to my little “Baby” Rollieflex, a 4cmx4cm roll film camera from the 50’s. The camera itself is bereft of color, but I really like the color and shape of the other subjects that Anita put together for this composition. Lighting glass is something I teach in my workshop, and Anita did a fantastic job with the lenses and the marble. 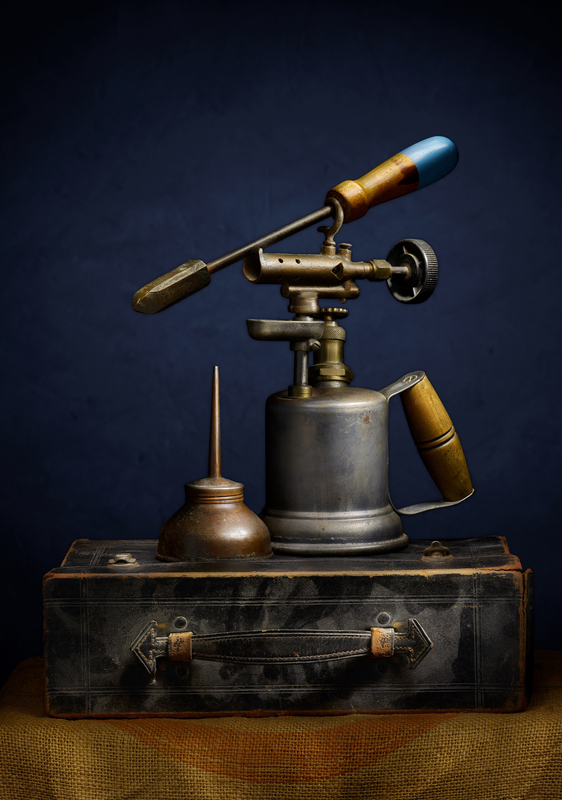 Tom Hughes chose to photograph one of my favorite possessions; a blow torch that belonged to my father. It holds special meaning for me, and I’m always happy that someone else appreciates it as I do. In combining that with another of my favorite things, an old oil can, Tom made my day! He also chose to leave the dust on the leather case, which is a nice touch, I think. 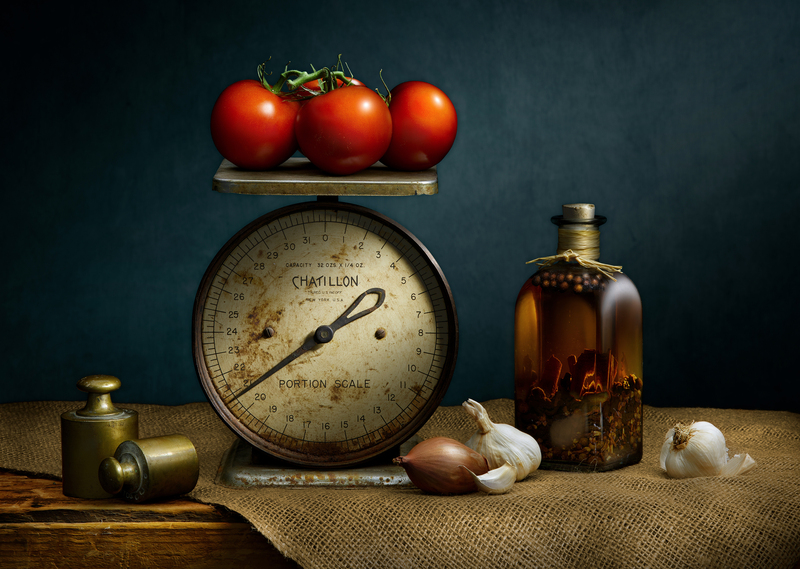 I love this composition by Patrice Zinck. It’s so well balanced and it really flows. It also is a good example of how “simple is good”. I also really like her treatment the background, both brightness and color. 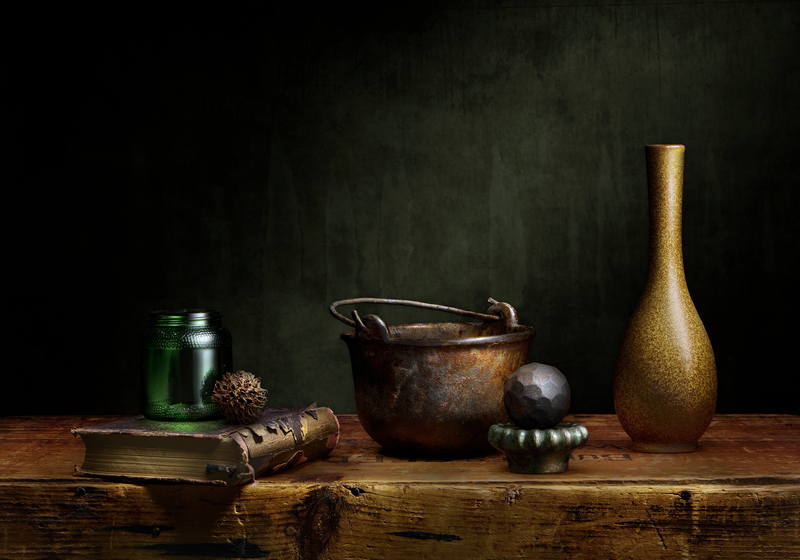 Jodi Fredericksen also picked some of my very favorite props to work with. 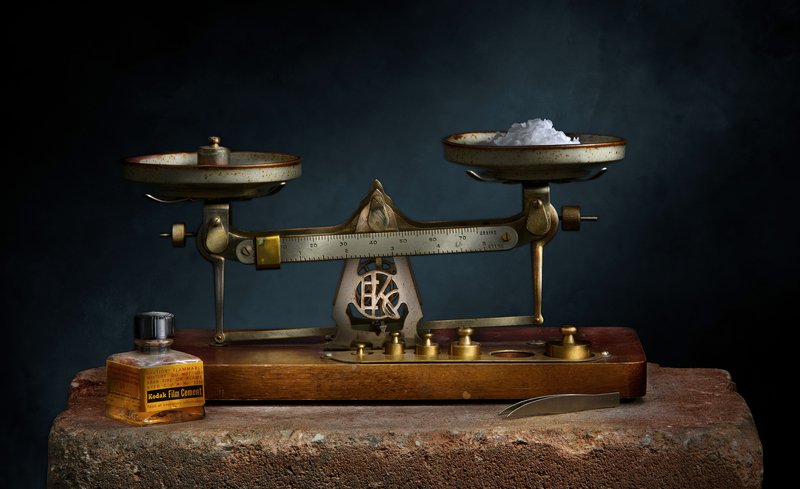 This old scale is very special to me, and the antique forged scissors are fantastic. It may not be apparent immediately, but those scissors are huge! Jodi did a nice job arranging this tight composition, which was a challenge due to its compactness. I’ve had the pleasure of working with Kathy Buckalew many times; in fact, Kathy was at one of my very first workshops in Maine, “Light Painting the Landscape”. We always have a great time and Kathy always makes the workshop fun! For me, this image is all about color. In my own work, I don’t think much about color (I really don’t! ), but I always appreciate it when my students do. I also like the light coming through the colander that Kathy placed there. 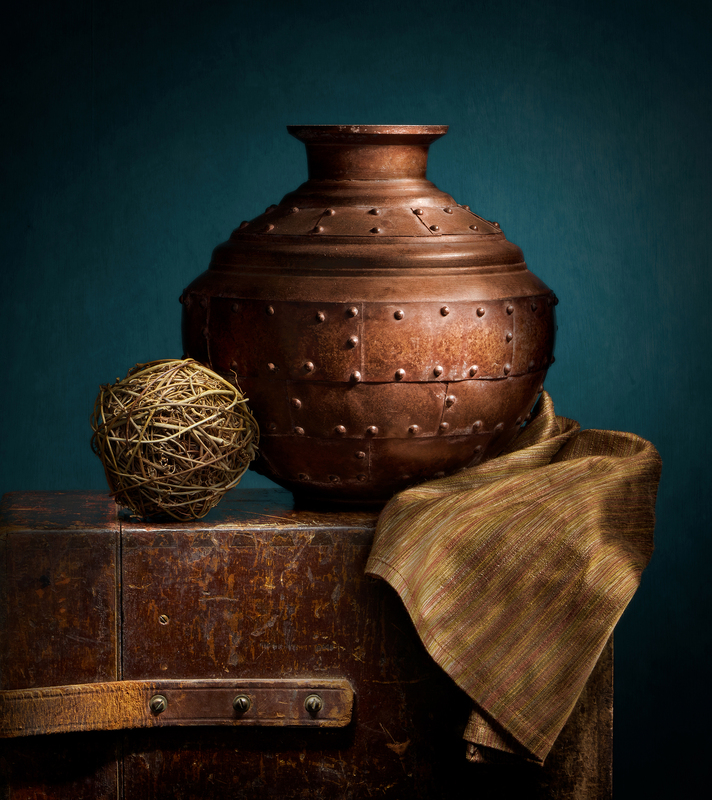 Linda Villamor made this beautiful soft image using warm hues. I love the tall and thin composition, and the subtlety of the tones. Linda kept the composition simple (which is always a good thing!) and she took very well to the post production process. Ken Shepard, here for the second time, created a gorgeous composition. The long thin frame appeals to me very much, and the treatment of the fabric, something I like to teach, is just right. Ken, a professional photographer whose hobbies include riding motorcycles through the woods at high speed, riding snow bikes in the mountains, and playing in a rock band, is a true renaissance man! Jennifer Gershon and I share an affinity for objects that are past their prime; vintage things that others might not look at twice. 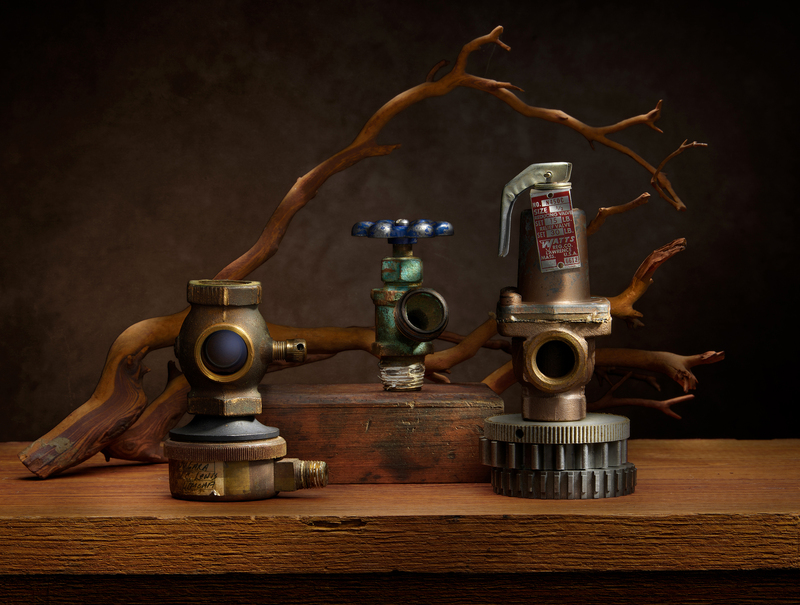 Jennifer brought these three old plumbing parts with her, and they really take on a new life in this image! By the end of the workshop, we were talking about these guys as though they were little living creatures. One of the things I enjoy most about teaching is to see the arrangements that I would never think to create! Jill Vandagriff did just that. She used my props in ways that I would never think of, and she was very successful! The juxtaposition of those beautiful grapes, lying on a discarded industrial plumbing housing is fantastic. Again, Jill wanted to learn how to light and “render” beautiful fabric, and she did a terrific job doing that. Jason Nicholas, who travelled all the way from Australia, scheduled an extra day with me, and so he was able to do two images. And how different those images are! The first one is all industrial; a vintage dial indicator used at the Hamilton Watch Company, which operated here in Lancaster, PA. until 1969. Interestingly, Jason’s father owned a Hamilton watch, which sadly, was recently stolen. When Jason saw the dial indicator, he immediately wanted to photograph it. The gear in the background is such a nice compositional element, while the main subject sits on a transmission part. 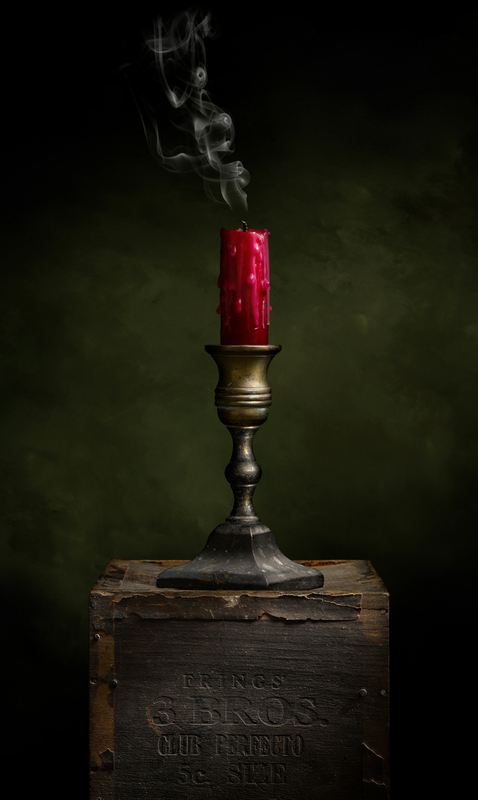 For his second image, Jason wanted to do something classical and the result is a beautiful photograph. Also, I feel that the composition is an excellent one! I like to say that the workshop is not about making a masterpiece, but is designed to teach a process and a way of thinking about light. 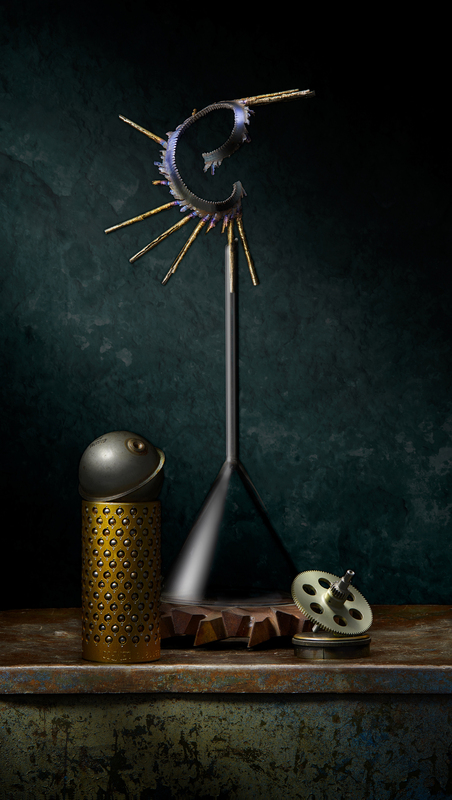 I believe that my sculpting with light process is very transformative, and the images of ordinary objects shot by my students is a testament to that. We just added dates for the first half of 2019! As always, if you’re viewing this in an email, please click the title of this post to see the blog, which offers a better viewing experience! Recently, we had to take down a tree that was growing just two feet from the foundation of our house. Left unchecked, the roots would have begun to work their way into the foundation and cause cracking and other issues. This particular species, called Paulownia, or Princess Tree, is actually considered a “weed tree”, and grows at a very fast rate. In fact, this particular tree grew over 25 feet in one season! In some parts of Asia, the wood from this tree is prized, and is used for making small boxes and furniture. After taking down the tree, we noticed that several of the logs were still putting out new growth! This made me think about the persistence of life. The basic will to survive can be very strong. Whether we are talking about plants, animals, or humans, there is an inherent will to live. 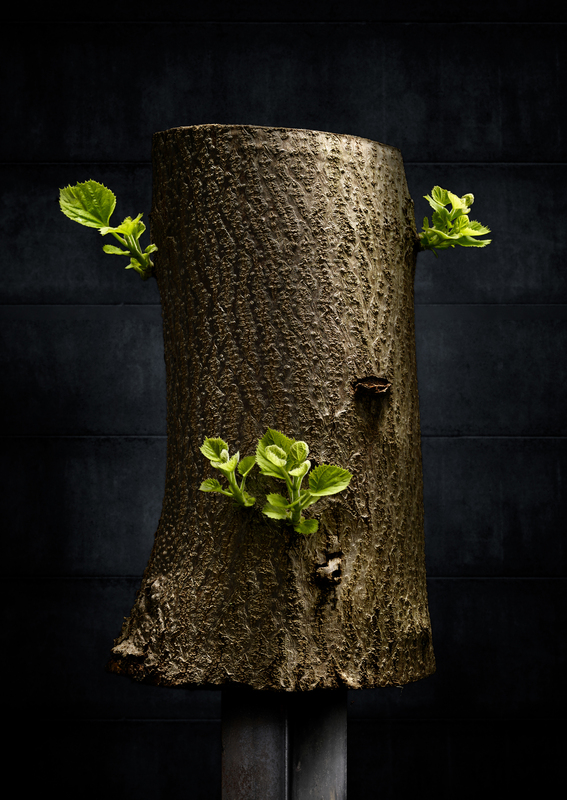 I have my own reasons for photographing this tree trunk with its sprouting leaves, which didn’t appear until weeks after the tree was taken down. My goal was to try to capture this in an image as a reminder to myself about the delicacies of life. If you want to learn all about my process, and how to make images using it, consider attending one of my Light Painting Workshops, seen HERE. What do past workshop attendees think? See their testimonials HERE. 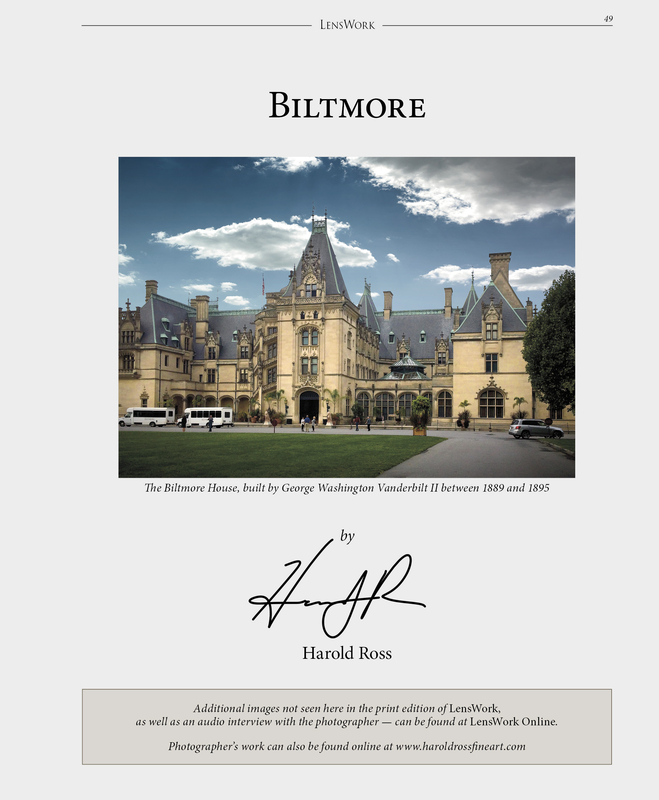 I’m very honored that one of the most respected photography publications on the planet, LensWork, has decided to publish my Biltmore House series in Issue #137. I’m doubly thrilled that they chose to place one of my images on the cover! The images were shot at the Biltmore House in Asheville, North Carolina, America’s largest private residence. It was an exciting opportunity to be able photograph there, thanks to my friend Jim Ryan, who made sure that we had complete access to anything we wanted to photograph. This was in itself a challenge; the Biltmore is absolutely chock full of the most amazing things, all personally collected by George and Edith Vanderbilt: priceless hand-carved furniture, 16th century tapestries, a library with 10,000 volumes, 65 fireplaces (each more interesting than the next), original paintings by Renoir and John Singer Sargent, and on and on. 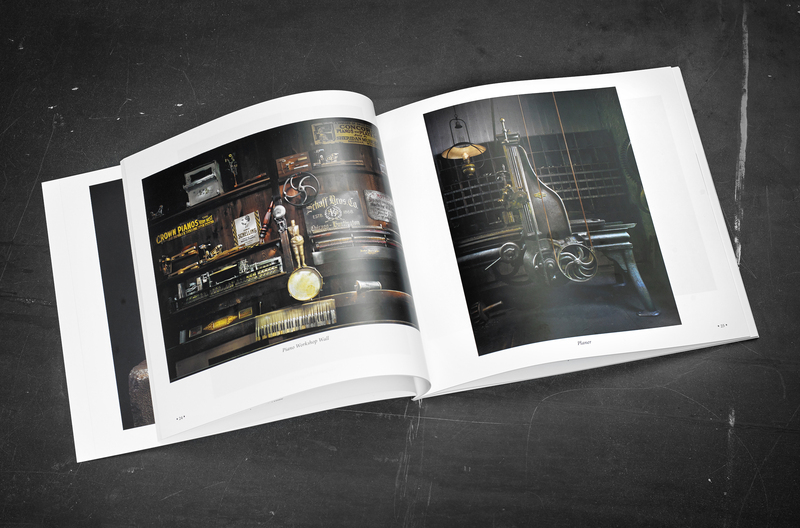 The images are, as always with LensWork, beautifully reproduced. Here is the opening page of the article, with an image of the Biltmore House as we approached it. There is also a very content-rich online subscription available HERE. You can pick up a copy at Barnes and Noble bookstores!